Towards the end of 1965 - with the final day of regular passenger services over the Somerset & Dorset then set for 1st January 1966 - a number of people met to ensure that the line would not be forgotten. The purpose was to collect, collate and record as much as possible about the history of the line, and to encourage modelling. The name of the organisation was to be ‘The Somerset & Dorset Circle’. The first edition of the Circle’s monthly periodical - entitled ‘Bulletin’ - was published in January 1966, four sheets of ‘foolscap’ paper, stapled in the corner. It contained questions and answers sections and items of interest and the names of the 30 members; future editions contained articles about the railway. The annual subscription was £1 per annum. There was no intention to establish a museum at this stage, but individual members were encouraged to purchase S&D artifacts if they so desired. 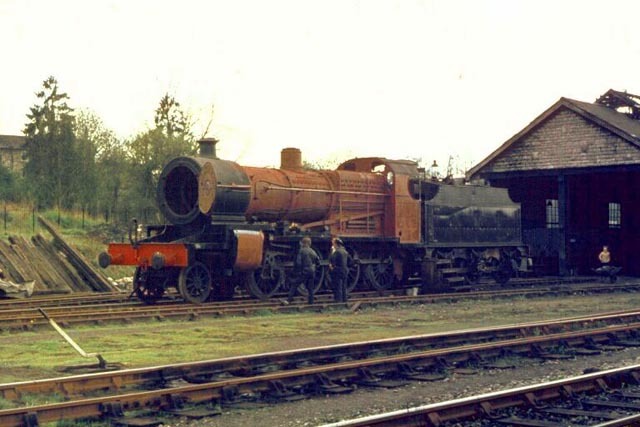 At the Annual General Meeting in 1968, a proposal was put that the Circle should investigate the possibilities of preserving one of two remaining Somerset & Dorset 7F class 2-8-0 freight engines lying in Woodham’s scrapyard at Barry in South Wales; and of setting up a museum in a former S&D station building. A price of £2,500 was agreed for the purchase of No. 53808; payment was in stages, the final amount being handed over in January 1973. 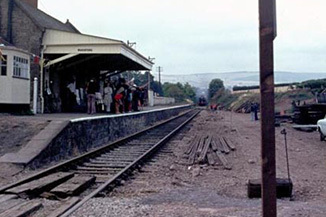 Meanwhile, the station buildings and up platform at Radstock North were leased from British Rail for £100 per annum. 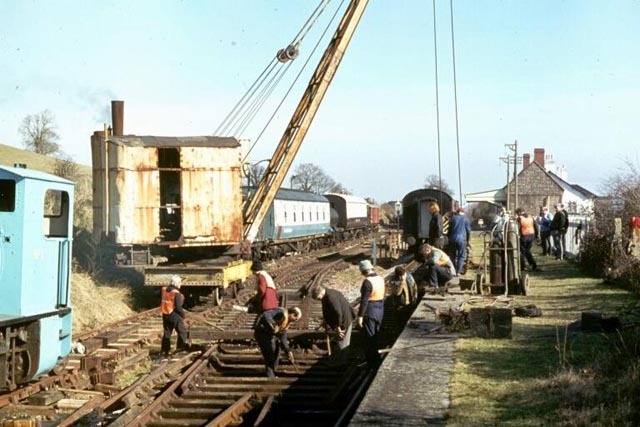 The locomotive was towed to Radstock in October 1970. A number of industrial tank locomotives arrived at Radstock, and from August 1972 on designated open days, those in working order hauled brake van trips a mile along the former main line to Writhlington colliery. In January 1973, the Circle changed its name to ‘Somerset & Dorset Railway Museum Trust’, reflecting its expanding activities. In 1983, it dropped the word ‘Museum’ from the title. 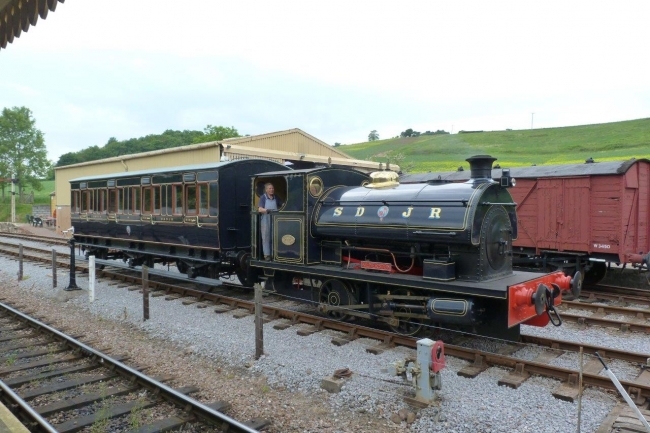 A separate Somerset & Dorset Light Railway Company was established in January 1974 with intention of buying Radstock station, plus the line to Writhlington, and setting up a working industrial museum. With the national economy in the grips of high inflation, the finances were not forthcoming, and the company was wound up in December 1976. 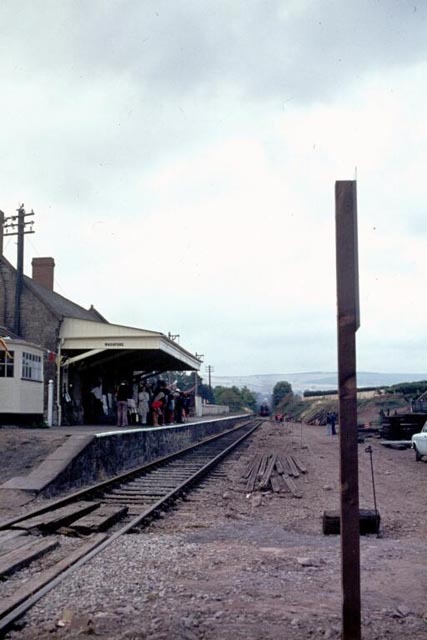 A number of alternative sites were considered before accepting the offer of tenure at the derelict Washford station and yard by the fledgling West Somerset Railway. The dilapidated station building was put in order to house the museum exhibits. The yard was levelled and sidings laid to accommodate the Trust’s rolling stock, the 2-8-0 arriving in December 1977. A replica of the Midford signal box interior was set up in Washford signal box. Burnham Signal Box and the Goods Office from Wells were installed on site. In the late 1980s, a two-road shed was constructed to house exhibits and facilitate restoration projects, including the renovation of the Trust’s collection of goods wagons. As finances permitted, the Bulletin steadily improved, and in 1981 became a proper magazine format of 16 pages. In 1989, it won a national prize for railway societies’ magazines. In 1993, it was renamed ‘Pines Express’ - over 270 editions have now been printed, still publishing new material about the S&D, a half century since the line’s demise. Back copies are available to read or download in the Members' Area of this website. Individual Trust members and the Trust itself have published numerous books on aspects of the railway, plus reprints of Working Timetables stretching back to 1902. They vary from the personal memories of former S&D railwaymen, such as the legendary S&D driver Donald Beale, to more technical matters, such as ‘Alfred Whitaker and the Tablet Apparatus’. In addition to written material, numerous audio recordings of staff reminiscences have been compiled and continue to be available on CD. The Trust has had an active Sales facility since the early days of the Circle, selling books, memorabilia, garments featuring the SDJR crest, limited edition model wagons. As well as a permanent sales outlet at Washford, mobile sales stands have been present around the country at model railway exhibitions, traction engine rallies and other outdoor events. It has developed a thriving mail order trade. Full restoration of the 2-8-0 proved to be beyond the Trust’s capability, and so a restoration contract was signed with the West Somerset Railway in April 1985, the Trust concentrating on fundraising to meet the costs. No. 53808 finally returned to steam in August 1987, and continues to work, hauling passenger trains on the West Somerset Railway. A ‘200 Club’ was set up as a regular fund-raising exercise in the early 1990s, with monthly prize draws for its participants. 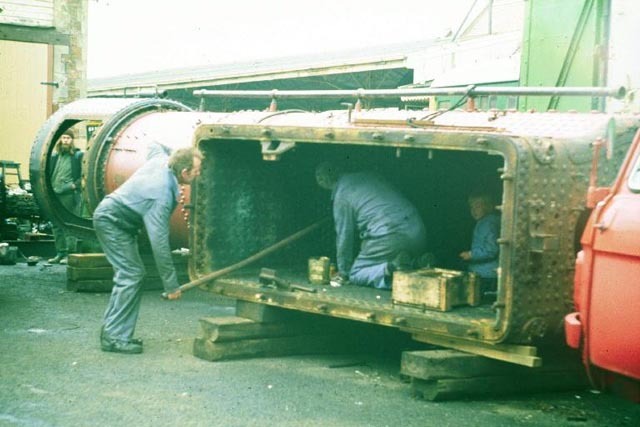 When the Radstock collieries finally closed in 1973, the National Coal Board placed its industrial 0-4-0 saddle tank in the care of the Trust. Built by Peckett of Bristol in 1929 and numbered 1788, it was moved by road from Kilmersdon Colliery to the Trust’s Radstock base via an appearance at the Camerton Traction Engine Rally. Since the Trust’s move to Washford, it has given regular shunting demonstrations there, and has masqueraded as ‘Percy’ at the West Somerset Railway’s ‘Thomas the Tank Engine’ events. Ownership was subsequently transferred to the Trust, and in 2013 following a complete overhaul, it appeared in splendid SDJR Prussian Blue lined livery. The Trust has also retrieved three original S&D coach bodies. The first, a 6-wheeled First Class coach No. 4, was built at the S&D’s Highbridge Works in 1886. Exactly one hundred years later it arrived at Washford in a poor state of repair, having served as a cricket pavilion at Templecombe for many years. After much painstaking work, the superb external renovation of this vehicle to its original SDJR livery was completed in 2012. The Trust’s engine ‘Kilmersdon’ poses with the newly-restored First Class coach No.4 in front of the platform at Washford, now very different and completely transformed since the Trust arrived there in 1977! For many years, the Trust has held its Annual General Meeting in the village hall at Edington, Somerset. The event has also included modelling and photographic competitions. This venue has also hosted model railway exhibitions every New Year. The Trust has a number of area groups, which meet on a regular basis, staging talks and film shows. As well as those locally in Somerset and Dorset territory, groups have met in London, the North of England and Scotland. True to the purpose of the original Circle, the Trust has progressively built up a large archive collection. Since 2011, this has resided in the Somerset Heritage Centre in Taunton, making it widely accessible to the general public and ensuring conservation to high standard. Artefacts, large and small, continue to be displayed in the museum at Washford, where there are plans for its development as an innovative visitor centre. The achievements of the Circle/Trust over 50 years have undoubtedly fulfilled the objectives of that handful of enthusiasts who met to ‘do something’ in 1965; indeed, they must be beyond their wildest dreams. The Somerset & Dorset Railway has not passed into oblivion - both its memory and many physical artefacts live on. If you would like to support the Trust and its future, you can become a member here or alternatively click the Donate Button below. If you would like to take an active part in the Trust, there are many volunteering opportunities of all sorts, from researching and writing articles to hands-on rolling stock restoration and repair – contact us here.